This title is suitable for children aged 2 to 4. 1 caveman + 26 letters = wild and wacky fun! 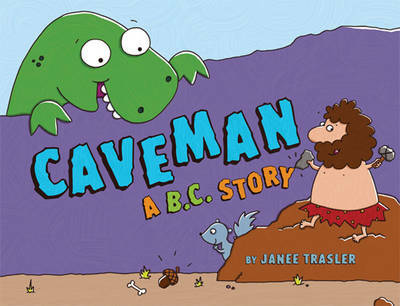 The popular prehistoric ABC romp is now a board book - and just right for the youngest readers. When a caveman and a squirrel try to grab an ACORN for dinner, a big brown BEAR chases them into a CAVE. But then a DINOSAUR comes out and goes after them all! What's going to happen? The slapstick hijinks go from "A" all the way to some cuddly, friendly "ZZZZZs" and a sweet goodnight.